See us on Google Maps and use the Google zoom controls to ZOOM IN all the way to GOOGLE STREET VIEW level or ZOOM OUT to world level, also get the Google directions from the Airport. 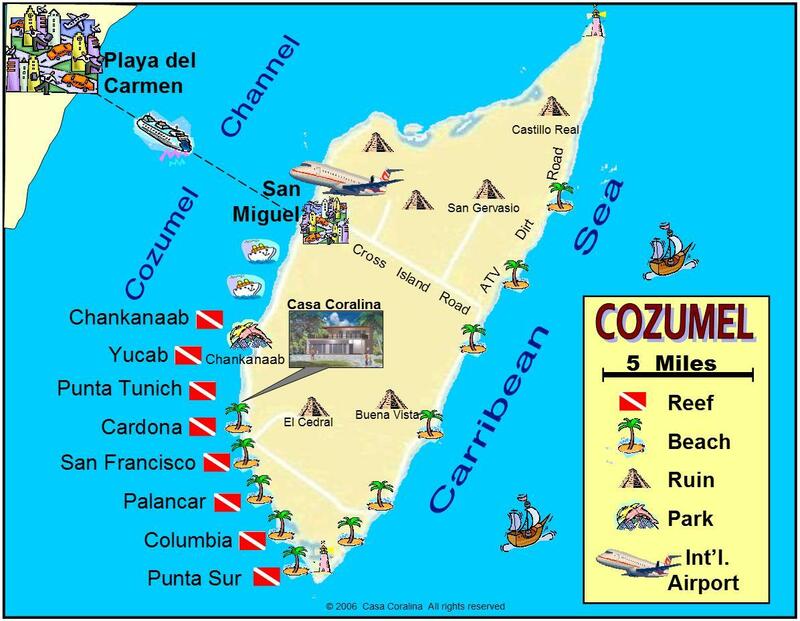 Cozumel Villa Coralina is located in the only gated community on the island. We are the closest villa to the entrance gate and parking, and a straight shot seconds walk to the community pool, 8 seat Jacuzzi and the beach. Our beach offers a bit of both a white sandy beach and some rocky coral heads for snorkeling.